USADA announced today that Tam Nguyen, of Fayetteville, Ark., an athlete in the sport of weightlifting, has accepted a four-year sanction for refusing to provide a urine sample to a doping control officer. Nguyen was selected to submit a sample as a result of being among the top finishers at The Lab Gym’s Summer Open in St. Louis, Missouri. 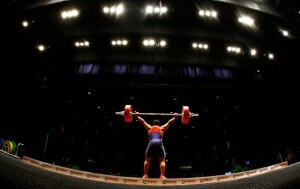 Nguyen was subject to testing because the event was sanctioned by USA Weightlifting, which maintains the Lift Clean Program that works to fight doping at all levels of weightlifting competition, from national to local events, through anti-doping education and testing. Nguyen, 26, refused to provide a sample upon being selected by a doping control officer for an in-competition test on June 3, 2017. Evading sample collection, or refusing or failing to submit to sample collection, without compelling justification is a doping violation under the USADA Protocol for Olympic and Paralympic Movement Testing, and the United States Olympic Committee National Anti-Doping Policies, all of which have adopted the World Anti-Doping Code and the World Anti-Doping Agency Prohibited List. Nguyen’s four-year period of ineligibility began on June 3, 2017, the date he refused to provide a sample. In addition, Nguyen has been disqualified from all competitive results obtained on and subsequent to June 3, 2017, including forfeiture of any medals, points and prizes.